First off, let’s be straight: this range isn’t actually new. It’s a relaunch of Aromatherapy Associates' previous range for touchy, sensitive skins. Second: despite the name, it doesn’t smell of the fantastic Inner Strength bath oil which Aromatherapy Associates founder Geraldine Howard formulated when she was suffering from cancer. It doesn’t smell of anything at all, in fact – which is good news for reactive complexions; it’s often fragrance which sets them off. 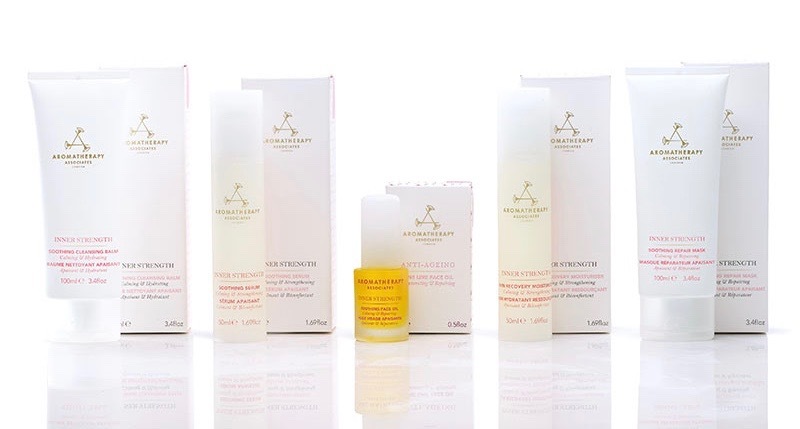 The ‘inner strength’ refers to the strengthening, rebalancing action of the range, which encompasses a Soothing Cleansing Balm, Soothing Serum, Soothing Face Oil, Skin Recovery Moisturiser and Soothing Repairing Mask, which is designed to be used a couple of times a week and will recharge skin with lashings of hyaluronic acid. It’s truly calming, when skin’s playing up. The previous ‘sensitive’ range from this fantastic brand never got the success it deserved – perhaps because women who do have tricksy skin are afraid to go near anything with the word ‘aromatherapy’ in the name. But if you’re prone to redness, soreness, flare-ups, ‘new’ doesn’t always equal ‘better’– as this Inner Strength skincare collection rather proves.